This super creamy and delicious no-bake peach tart, loaded with fresh peaches will be a hit at any table! Keep it simple. buy a store made crust. When life gives you peaches, it’s time to make my no bake peach tart! Bring on those lazy, hazy, crazy days of summer!! When summer starts to give it’s worse, it also means it’s time to give us its best, Jersey Peaches!! The first local peaches of the summer have been showing up at our farmer’s market and there is nothing better than a ripe peach in all its juicy sweet glory! I think the best of the summer are still a week or two away, but if these aren’t our best there pretty darn close to it. With the heat of summer in full force, I try not to bake too much or if I do it’s in the early hours of the day before the heat has set in. For this wonderful fresh creamy concoction, I only needed the oven for a few minutes to bake the tart shell, after that it was as easy as pie! Peach pie that is, or to be more specific a No Bake Peach Tart! So my friends find yourself some local peaches, nectarines, or even berries and enjoy the taste of summer, for those of you in the winter of your year, you can substitute frozen fruit, and you have my permission to taunt me in December when your season is in full bloom! But whatever you do take a few minutes to make this delicious treat! If you enjoyed my no bake peach tart recipe, you may like my no-bake Blueberry Cream Pie. Check it out! In the bowl of your stand mixer, blend the mascarpone, cream cheese andconfectioners’ sugar until smooth and creamy. Add the lemon zest and vanilla extract and mix well. Spread the mixture into the pie crust. Top with the peach slices. In a small saucepan or microwave heat the peach preserves and brush the peaches with the liquefied peach preserves, this adds a nice glaze to the dessert. Refrigerate the tart at least 1 hour or overnight before serving. Process flour, sugar, and salt in a food processor for a few seconds until combined. If you don’t have a food processor, you can do this by using a pastry cutter. Add egg and keep pulsing until the dough is no longer dry and starts to clump together for about 10-15 seconds. Do not process to the point that a large ball of dough is formed; rather the dough should be quite crumbly with large clumps. Turn dough to a lightly floured surface and form into a ball. It should come together easily without being sticky. Flatten ball slightly with your hands to form a thick disc. Wrap with plastic wrap and refrigerate for at least 1 hour. Remove the dough from the fridge and allow it to set for a few minutes before using. On a lightly floured surface, roll the dough out into an 11-inch circle, then place gently into a 9-inch tart pan (preferably with a removable bottom); you can do this by flouring a rolling pan and rolling the dough loosely around it, then unrolling it into the pan. Brush away any excess flour on the surface. With a sharp knife, trim the edges of the pastry to fit the tart pan. Cover the pan with plastic wrap and place in the freezer for about 30 minutes. This will help prevent the dough from shrinking. Preheat oven to 375F and place rack in the center. Press parchment paper or aluminum foil tightly against the crust, covering the edges to prevent them from burning. Fill with pie weights/dried beans/uncooked rice, making sure they’re fully distributed over the entire surface. Bake crust for 25-30 minutes, until foil no longer sticks to the dough. Transfer crust to a wire rack and remove weights and foil. Step by step explanation is great !! explained the recipe using simplest possible words and I loved it. I want to make your NO BAKE PEACH TART BUT…,,,,,not with a store bought crust. Where can I find the recipe for the tart shell that you show in the picture???? I just added the pie crust recipe to the post. 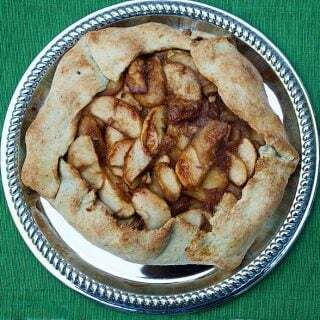 I made this tart several years ago and remember how delicious it was. I unfortunately lost the recipe but thanks to google, found it again. The only thing missing, however, is the recipe for the tart crust. This version says to use a premade graham cracker crust :(. Any chance of getting the recipe for the crust? THAT PEACH TARTE IS A ONE WAY TICKET STRAIGHT TO HEAVEN . It’s too bad the dough needs to be baked. There is a reason I searched for “no bake.” My oven is not working. you can always buy a premade graham pie shell Bethanny! It looks yum. Do you have a gluten free suggestion ? Which flour could I use for this unbaked crust? I would just try a gluten free graham cracker crust. Wow… I had been complaining that the really good big Ga. peaches had not come to us in Fl. yet, and well they arrived this week… will be abundant until late Aug. – So today I made this No Bake tart… I will serve tonight after dinner!! I know it will be wonderful! How can anyone resist this tart? And the photos edible, too! 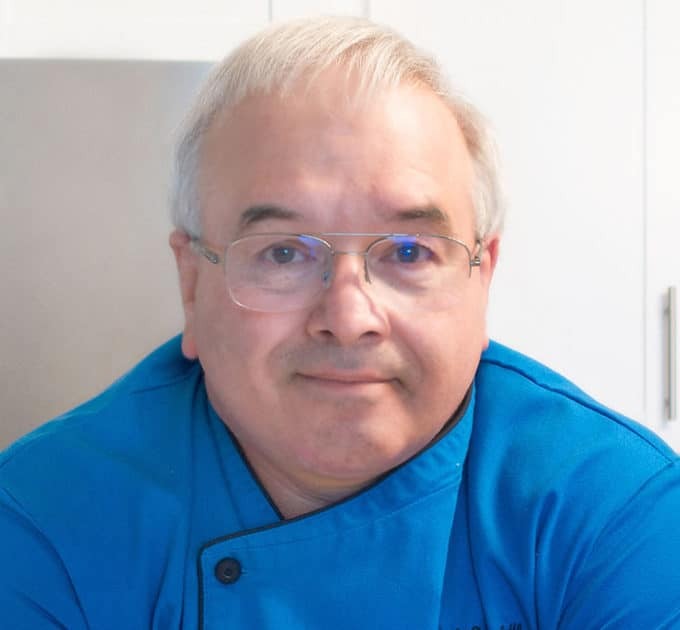 Chef, I’ve sent you 4 emails to the address I had for you and they’ve all been bounced back, can you shoot me an email with your email, I’ve been hoping to catch up, it’s been too long! This is a fantastic recipe. I made these in a miniature form using my own peach, blackberry and strawberry preserves. Crazy as it sounds, I also made some mini tarts with my home grown fresh tomatoes, cutting way back on the sugar. I know it sounds weird, but they were delicious. I tried your crust instead of my old favorite. They were all incredibly delicious and very easy to make. My guests loved them! Thank you for another great recipe. I’m so glad that you liked them! The tomato ones sound delicious! I could reach into my computer to eat this. The photo. The tart. The peaches. I am really craving this now. phenomenal!!! absolutely phenomenal! I am going to try to get to asheville in a couple weeks! I need to have this as soon as humanly possible! This looks absolutely amazing. I can't wait to try it! I am totally tempted to make my own dough…you make it seem so easy! And I can just imagine the delicious filling with the creamy mascarpone and the sweet, juicy peaches. Heaven! My fave summertime fruit…lovely presentation, yumo to the ingredients! It is great to see so many people getting involved with Share Our Strength, especially big names like FoodBuzz! I strongly urge food bloggers to add the No Kid Hungry banner to their blogs as well and help spread the word! Visit http://www.strength.org/ to learn about all the good they are doing! I have seen this post in front of me almost every day since it has been posted. Each day the heat brings me closer and closer to making it. Looks like this is going to need to be my next dessert! Peaches are so good right now. Even though today it was only 74 degrees F here, this recipe sounds phenomenal for eating in any weather! What a spectacular tart. 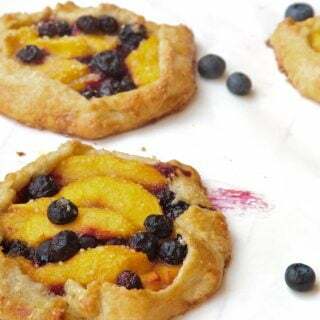 I love it when we are able to get peaches and nectarines that aren't as hard as a rock, as you can imagine we aren't exactly know for stone fruits here 😉 I certainly know what I will be making the next time some beautiful peaches crosses my path. Omg Dennis! 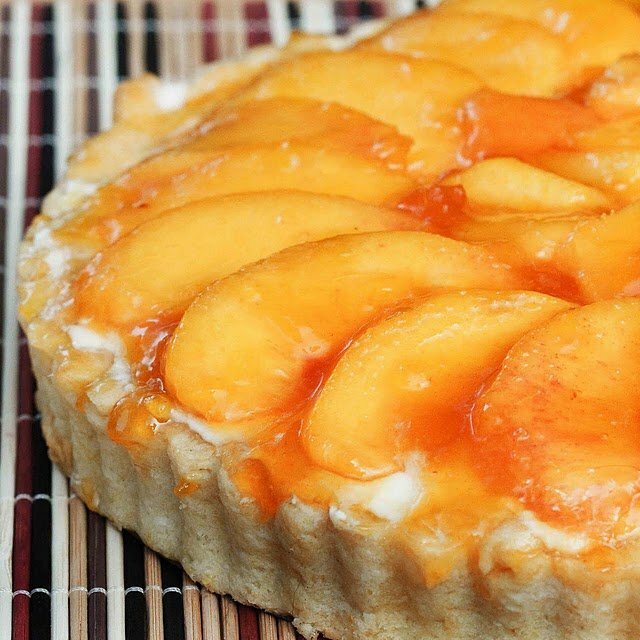 This peach tart is spectacular! One for my "Chef Dennis" file, for sure! Thanks so much for the great recipe! Cheers! Such a beautiful peach dessert! I've been meaning to take the boys peach picking and now I have the perfect recipe to try them out on. The Hubby got fresh peaches from the market and I have them sliced and ready for something…thank you for providing that something…looks great! Peaches and mascarpone make one of the best flavor combinations! Your tart looks so creamy and refreshing at the same time. Looks like I'm going to have to pick up some mascarpone tonight on my way home. 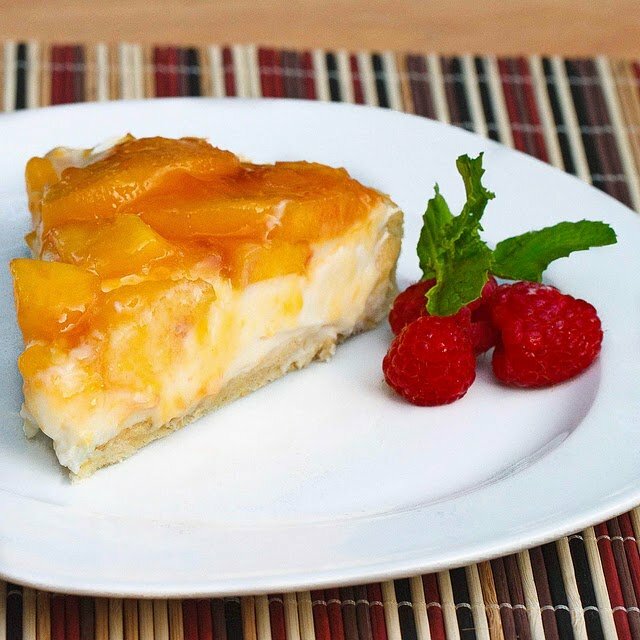 Chef: What a lovely summer treat with seasonal peaches and "no bake" – This is a slice of heaven for sure! Love the use of mascarpone & cream cheese. Oh Dennis, Mascarpone and peaches are just about my favorite thing ever. LOVE THIS! I wish to try it too. What a beautiful tart Chef Dennis! SO simple, yet elegant! BTW-You were one of my first foodbuzz friends and I will always remember that-you're kindness and being so welcome into the food blogging world.–Heather-The Blue Ribbon Baker/Chef. What a perfect tart! An no bake, even better. Just wish I had a slice right now. Congrats on the Top 9 today!!! A beautiful tart! I like the cheese filling with the addition of mascarpone. A terrific summer dessert. Wow, that looks fantastic! Peaches are my husband's favorite. He will LOVE this! Thank you! 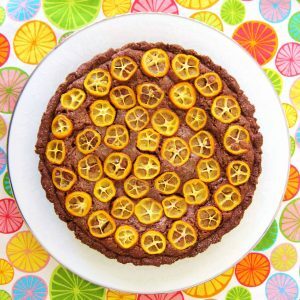 Holy cow Chef, this tart looks absolutely amazing! I love peaches and this is a winner peach recipe. I was hooked at "no bake". This is oozing with yumminess Chef and I can't wait to try it. Congratulations on it being in the Top 9! I've been dying to make a peach dessert this summer and this recipe sounds splendid and not overly fussy. Thanks for sharing. This looks incredible. I love the cream filling it is so much easier than making a creme anglaise. Chef, not kidding you, my mouth just filled up… too much info? Too bad… I am drooling! I LOVE this tart! I wish I could pick those peaches off one by one, eat 'em, and then dig into the crust. WOW! 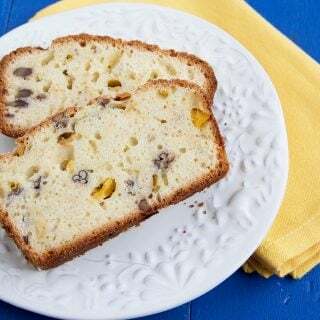 This look a wonderfully easy dessert on a hot summer evening. It looks delicious. I like the mascarpone component and the preserves. I will certainly be trying this on the weekend! Thanks for sharing and being on the Top 9. Congrats. Mascarpone, cream cheese and nectarine filling…so summery and delicious. You're right, Dennis, it doesn't get much better than this! I saw this on Top 9, many congratulations! This is GORGEOUS. And you ROCKED that Top 9! 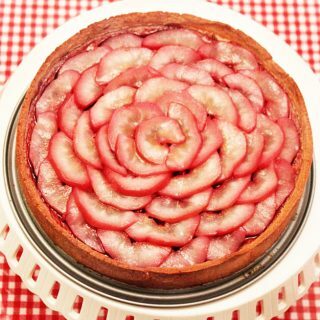 Congratulations on the top 9 🙂 This looks like a truly gorgeous tart, i think its my favourite peach recipe ive seen so far this summer (i think the work mascarpone won it for me 🙂 ) saving this one for sure and i hope i get the opportunity to try it. Lovely recipe as always! CONGRATS!!! once again you did it! 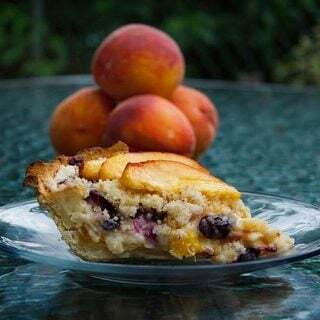 this fabulous no bake peach pie is a winner 🙂 Well done Chef !!! Seems when I think of you I'm always thinking of the weather! Just a few months ago I was wishing you heat, now I'm wishing you chill! And me? Well, our weather really hasn't changed much… a bit warmer so I'm comfortable all day, but I need a jacket to head outside to the beach at night. Well… the Peach Tart! I can't wish you anything better on that! Simply amazing Dennis!! Your photo is magazine worthy, everything about it is lovely. Dennis, this looks amazing! I love using peaches in desserts and with that marscapone cheese? YUM! What a perfect summer dessert! Oh that looks so good, and with all that creamy cheese in it! In the summer, it's so much nicer to find things to make without an oven on all the time. Thanks so much for sharing! The pie looks great. I love that the peaches were used fresh. I have been LOVING local peaches lately but I haven't been able to save any to bake with! That's about to change because this looks so good! Dennis, this is just gorgeous – summer beautiful and refreshing. Wonderful.